While the world is still overly dependent on coal as our main source of energy, the spot for second-largest energy source is up for grabs. For years, this was natural gas. But renewable energy is closing the gap, and the International Energy Agency (IEA) thinks that renewable energy is set to take over the second spot very soon. 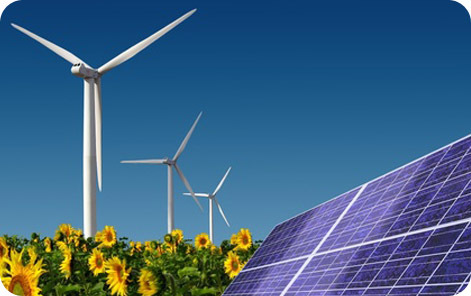 Renewable energy – mainly from solar, wind and hydropower – will increase 40 percent in the next five years. By 2018, these sources will provide 25 percent of the world’s energy, and renewables will reach the number two spot of energy power in the world by 2016. Right now, the main source of renewable energy is hydropower, and the IEA predicts that non-hydro power sources will double over the next five years. One of the main reasons for the increase in renewables is their lower cost. Many developing countries in Africa and Asia – and even in some developed countries like Australia – renewable energy sources like wind are cheaper than coal. This low cost leads to more investment in these energy sources, especially in countries with demand that is rising fast, like China and India. In 2012, developing countries increased investment in renewable energy sources by 19 percent, to $112 billion. China invested $67 billion alone, which was a 25 percent increase from what China invested in 2011. Countries in Africa and the Middle East had a total lower investment - $12 billion – but that was a 228 percent increase from 2011, so they are definitely moving in the right direction. The problem with renewable energy lies in a lot of developed countries, where investment in these energy sources is declining. This is because worldwide subsidies for fossil fuels are six times higher than subsidies for renewables. President Obama recently pledged to double the United States’ wind and solar energy use by 2020. The President also noted that he would be setting limits on carbon emissions from coal-fired power plants in the U.S., and that he would stop government funding of coal plants overseas. The World Bank also said recently that it would be cutting back on the number of coal-fire power plants it finances. Your local Building Energy Pros Affiliate can help. Visit our website at www.buildingenergypros.com or call 1-800-309-6006 for more information.